Discover your own 500-acre private island paradise. 14 light-filled villas dot the iconic Blue Lagoon, separated by generous expanses and lush landscaping. Designed in harmony with nature, your beachfront home offers peaceful privacy and ocean views. So you come to know the Fijian way of life, your personal Bure Mama will look after you, ensuring you have everything you desire. She tidies your villa, handles your laundry, and arranges picnics and dine-outs. If you like, she guides you on island tours, and even accompanies you on snorkeling excursions pointing out marine life. In the evening, she’ll join you around the kava bowl for storytelling and songs. Experiencing the joy and culture of Fiji will touch your heart forever. Our elevated global style punctuated with island-found treasures and Fijian arts create a distinctive and inviting abode. Artisan crafted furnishings from trees and driftwood. Vaulted ceilings woven from palms and knotted with coconut husk cordage known as magi magi. Textiles inspired by tribal graphics and pops of color from jungles and reefs. Your villa is an escape and digital detox from the pace and pressures of the modern world – a place where your heart beats to the rhythm of the island. Our most sought-after villa and elevated on its own point, Vonu Point boasts sweeping views – from the crescent-shaped Blue Lagoon to neighbouring islands in the Yasawas. 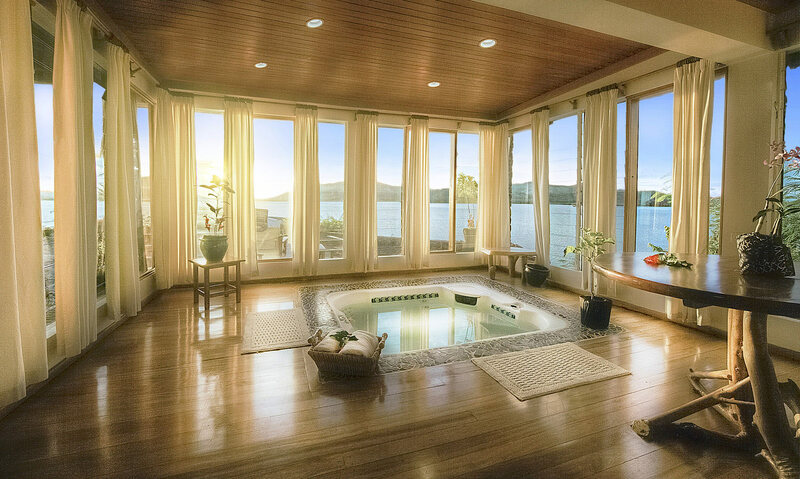 In addition to the amenities of the Grand Villa, Vonu Point features an indoor spa and extraordinary privacy. The ocean view Grand Beachfront Villas overlook the famous Blue Lagoon. 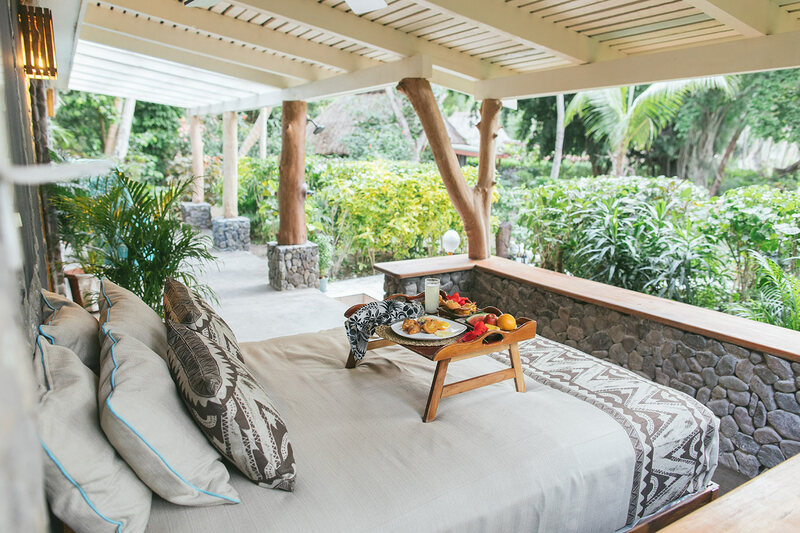 Each villa offers a king-size bed, and separate sleeping, dressing, and bathing areas; an expansive lounge and bar stocked with drinks and fresh fruit; a walk-in double shower and outdoor open air rinsing shower; and an intimate veranda with a queen-size day bed. Steps from the Blue Lagoon and slightly smaller, our Water’s Edge Villa offers thoughtful amenities including an outdoor shower.